All you need is love…and a beer. Owners Alex and Lori Stanley were fans of the original Books & Brews in Indianapolis, a “place for people without a place.” The owner decided to franchise and the Stanleys opened the Carmel location in October 2017 at Carmel City Center. Find house beers on tap like the Cream & Punishment cream ale or the Clifford Irish-style red ale along with rotating seasonal flavors, plus cider and other drinks. Check their events calendar for trivia night, bingo and live music throughout the week. Dooley’s is one of Carmel’s oldest restaurants, serving up American fare since 1985. 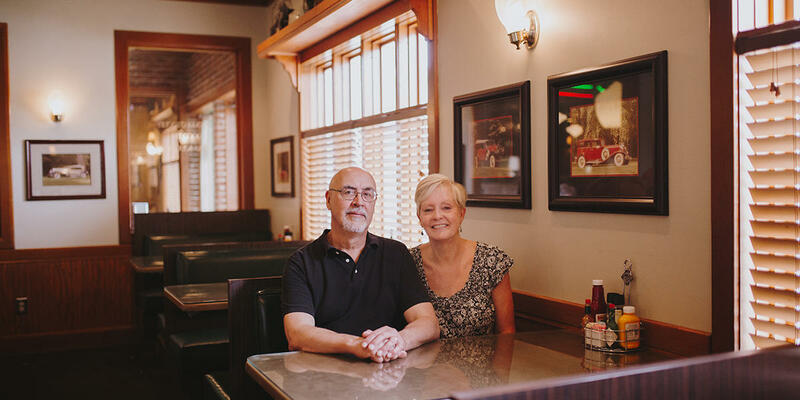 And when you visit, you’re bound to see owners Doug and Terri Kemp in the kitchen or on the floor serving hungry customers. Regulars have made Dooley’s their lunchtime spot thanks to signature dishes like the breaded pork tenderloin sandwich, made with meat from Joe’s Butcher Shop & Fish Market. How’s this for a “meet cute”? 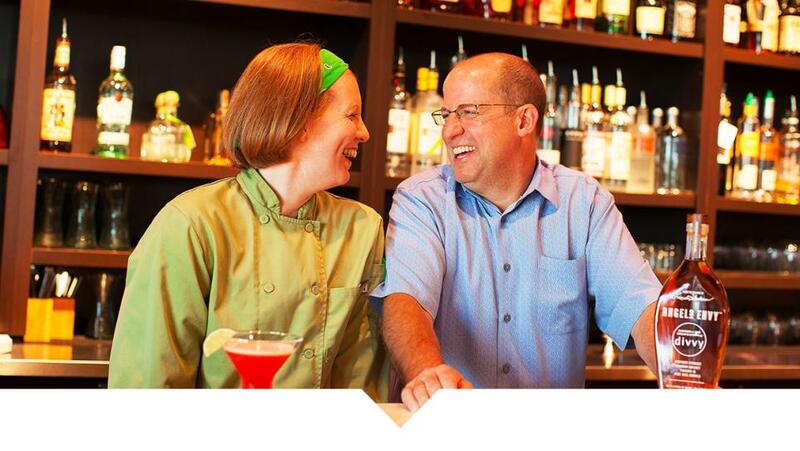 Chef Richelle Rider met Kevin “Woody” Rider at a wine supplier’s tasting and married in 2005. Together they own Woodys Library Restaurant, located inside a 1913 Carnegie library in the Carmel Arts and Design District, and divvy, a small plates restaurant & bar at Carmel City Center. He oversees the business and operations and she manages the menu and food. Together, it’s a partnership made in foodie heaven. 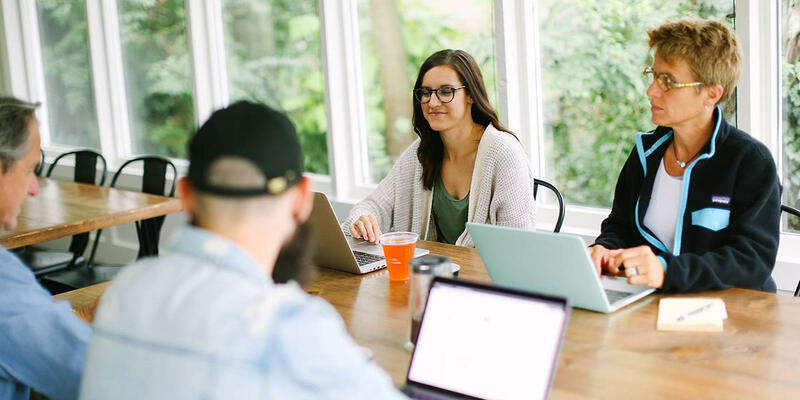 Couples often pair up for double dates, the team at Indie Coffee Roasters took the adventure to a new level. Alec Tod (Director of Coffee) and Jenny Tod (Director of Brand and Marketing) work alongside Kevin McAndrews (Director of Operations) and Diane McAndrews (Director of Retail). The shop is bustling with coffee lovers sipping cold brew, signature latte creations and tea. This love story traveled across the world to bring their business to Indiana. Tucked away in a strip mall in the Geist area is St. Yared. Owners Etenesh and Haile Abebe opened their restaurant in 2013 to introduce Hoosiers to Ethiopian food and their home culture. As is custom, most meals are eaten without silverware like the colorful veggie and meat platters served with injera, a spongy bread. In 2019, the business is expanding to include a food truck. There’s nothing sweeter than turning a passion into a career. After raising her children, Debbi Bourgerie was looking for a new adventure. 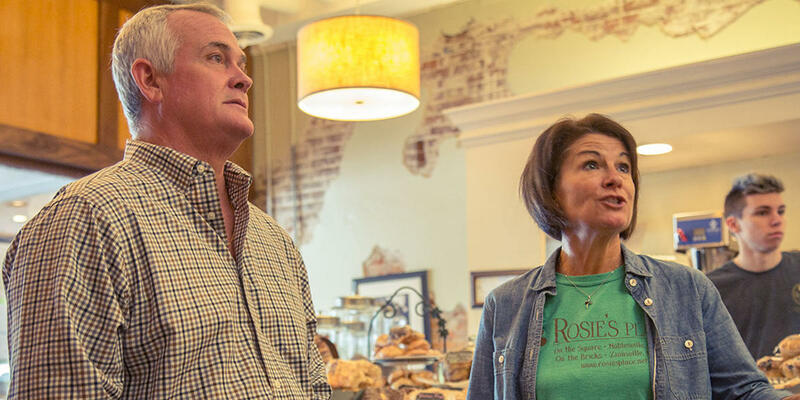 She and her husband Michael discovered a historic storefront in downtown Noblesville and opened Rosie’s Place, a breakfast/brunch/lunch spot and bakery, in 2010. The eatery quickly became popular among locals with omelets, eggs benedict and sweet treats like oooey gooey butter cookies. They opened a Carmel location in late 2018. Red is the color of love, and it’s also the color of Rail Restaurant & Bar. Toby and Melanie Miles both worked in the food industry before opening their own restaurant in downtown Westfield, formerly Rail Epicurean Market. They turned a dilapidated old grey barn on Park Street into a charming red “barn to table” restaurant serving seasonal dishes with local ingredients. The couple plans to open an ice cream shop, Cone + Crumb, next door to Rail in 2019. Support these other local businesses in Hamilton County owned by couples. For more information on local businesses in Hamilton County, visit our Things to Do section and be sure to follow us on Facebook, Twitter and Instagram.